"Express Checkout" Challenge: Week 4 and end in sight! Four days to go, through Sunday–almost out of the woods. On Monday, I'll joyfully tear into my stack of sweaters. I cheated once, for an unanticipated meeting with a new corporate client. I was not going in a sweater. But the black jersey skirt and cami under the jacket are on the list, so there. (Deep violet boiled-wool jacket. by Clothes by Muriel Dombret). Two parties, not with the same guests, were handily solved by the black leather tee and pants or skirt, no need to try this-and-that. 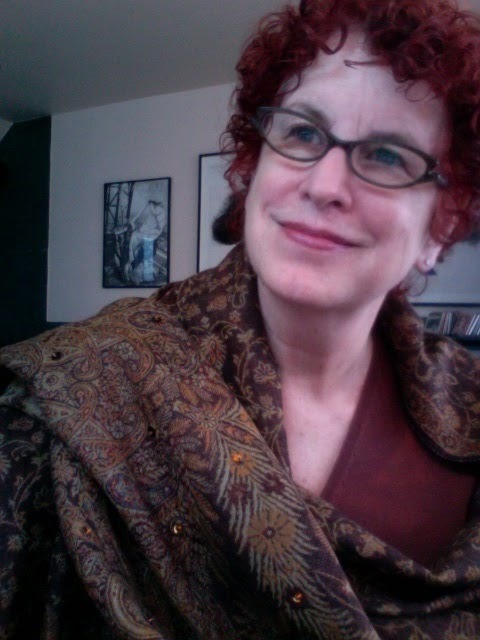 Shown, today's merino v-neck (ça va de soie, a terrific Canadian brand) with olive, brown and rust wool Indian shawl (gift from my GF Marla), so large it hides the sweater that's about to have an extended vacation. I sewed copper sequins to several feet on both ends of the shawl; the twinkle pleases given such restricted choice. 1. Opening a Visa bill with a $0 balance, sweet! I always paid my balance each month, but haven't seen a blank page in years. I'd quit all discretionary shopping, an unanticipated outcome. 2. When my friend Lynne needs formal business drag, she calls a pal and borrows a suit for the day, then returns it dry-cleaned. She avoids buying what she rarely needs. I, on the other hand, will buy for what-if-I-am-invited to-a-Nobel-awards-ceremony. 3. I deeply admired the Prada dress Lisa of Privilege recently chose. I can't fit into any Prada clothes, never mind the price tag– and realized that buying multiple pairs of pants (and skirts, when I can find them long enough) was simply sublimation of dress wish. If I could get it together to have a dress made, I'd pass up countless consolation items. In Barney's, I think, I can't have that dress, but what about a pair of shoes? 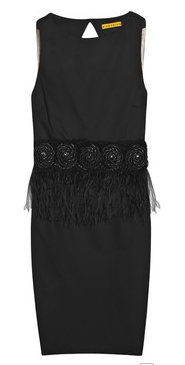 I love the detail on this Alice+Olivia LBD, the Marigay rosette feather dress. 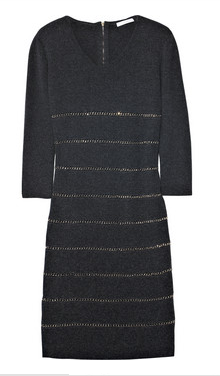 (Price, $495 from Netaporter.) Could a dressmaker create something this witty, or would I look like Big Bird in a dive bar? 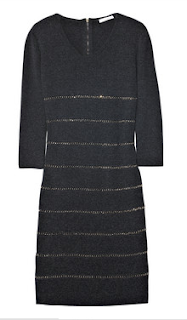 This Chloe merino dress! Anthracite wool with horizontal gold chain inserts, and those chains are knit into the dress, not applied over the fabric. 4. I could easily pick twelve more items and re-up, but instead, will pare my closets. Getting down to Six Items is not gonna happen. One spill and you're going nowhere for awhile. 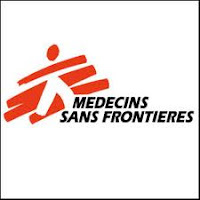 On Sunday, I donated to a friend's favourite cause, Médecins Sans Frontières, as we agreed in lieu of Christmas shopping. Giving feels more grounded and quietly satisfying when it is not driven by embarrassment or guilt about how much I've spent on myself. I'd enjoy your comments, whether you've been experimenting or watching. I love this experiment. While I didn't participate, I plan on doing something like it in the future. I love the idea of borrowing instead of buying and that zero balance? Wonderful. Congratulations on bringing some thought and reflection to fashion. dear Duchesse, I had planned to participate but forgot I had two trips planned. One to Michigan (cold), one to Aruba (not cold!) But I have so enjoyed reading about your journey and others' comments. I hope to try the experiment myself when weather here (South Carolina) settles. I appreciate your advice and am a fan! Interesting experiment, but I don't think it's for me right now. On the other hand, I am delving into the closet for more relaxed ways to wear my banker clothes, especially now that fall has arrived on the high plains. It sounds as though this really gave you worthwhile insights. I'm going to do a wrap-up post next week, but the short version is: I need to pay attention to quality. And...yippee for scarves! I'd love to see how the applied sequins look! I can relate to buying things in lieu of items you can't have. It sounds like you don't own many dresses. Why not have just one made and see how your longings translate to reality, whether you actually do prefer wearing dresses? I've been wistfully reading Gertie's Blog for Better Sewing. I love the idea that if you're a 14 on the bottom and a 10 on the top you can tweak a pattern and come out with something that isn't too tight one place and too baggy another. I haven't ever had a dress made but I've got a fellow above my drycleaner who alters things for me and he's very reasonable. Offhand I'd think it should cost at least twice the cost of the fabric, but that's just a dart-toss. Anyway, who wants to spend a fortune on a dress only to find out that it's been splashed across the media and anybody who knows about such things knows you raided your rainy-day fund to buy it? First: you look marvelous! That jacket becomes you. And copper sequins, what a good idea. I,too, have promised myself for years to find a clever tailor or dressmaker and HAVE SOMETHING MADE that would perfectly fit my petite-but-no-longer-gamine figure. If either of us actually does this, I think the key to success will be fabric choice: a great quality fabric that will move as the chosen dress shape demands, in a gorgeous, flattering color, with beautiful detailing = couture, no? As for those feathers--I have seen them used very delicately, keyed in to the color of the garment, to great effect. So why not? You can always remove them later if you feel too birdlike. Speaking of color, am I alone in finding this year's colors remarkably drab, muddy, and depressing? They seem to announce "cheap dyes." I'm longing for a deep inky blue, rose petal pink, soft winter white, even a true black, but everything out there just looks washed out, grayed down, or dirty to me. It has made not shopping the past few weeks even easier! Roxie: I wanted to examine why I feel mild annyance at the preponderance of "I got this, I have that"- the loot videos and blogs... but those are mostly young people captivated by their ability to buy. Anonymous: Oh, that would be challenging, and feel free to comment when you do try later. Nancy; Some of my coporate clothes no longer worked no matter what- I gave away all the matched suits, for example- just too staid. Why not just have one made? Because I don't have iron-clad confidence in any dressmaker's skills that I have met so far. What has worked very well for me is the trunk show of a designer who will add a couple of inches in length. That way I see exactly what I'm getting. RoseAG: If possible, I *would* buy a Prada dress (or another designer who makes beautiful clothes) and wear it into the ground- not for status but for love of a beautiful dress. But in real life I buy from local or Canadian designers, many of whom channel Prada, Dries, etc. I feel as you do about "It" handbags: just don't want one. Pearl: Chapeau! I'll likely add 4-6 sweaters and an LBD, but not go back to the bloat. Anonymous: Fabric choice is very important and so is dressmaker skill, but there is a third factor, the "design eye": will it look great on you? I have had some dressmaker debacles, that will be a post soon. As for colour, I buy my sweaters from France (Eric Bompard, by mail) and that always yields gorgeous shades- but I know what you mean about the average dept. store offerings, especially grey. "Big Bird in a dive bar..." Oh, you do make me chuckle, Duchesse! You look wonderful in these photos -- I'm sure part of your success with this experiment is that you are so attuned to what colours and lines suit you -- you accessorize perfectly, shawl, earrings, necklace, whatever your choice! Having sewn a great deal years ago, I know that there's always a risk that a particular style in a particular fabric will not suit once it's sewn up, and although alterations can be made, sometimes the item never truly pleases. Overall, though, you find success more and more often, knowing how to interpret styles and fabrics and how they work on your body. Just think of how many garments you love on the rack, are sure they'd suit, until you put them on and immediately know they're not for you. So I think that working with a talented dressmaker or tailor needs to be a longer commitment than one dress, and I think that it has to allow for the occasional disappointment. I'd be curious to see how others with more experience feel about this, but I'd feel better starting with trying to get a favourite from my closet re-created first, in a similar weight fabric but perhaps in a print rather than plain, or in a different colour. As for the borrowing, I've been on the lending side of that equation a few times (LBDs), but I found myself getting a bit cranky the third time, and have ignored subsequent requests (from the same person). If one's saving depends on someone else spending, it might be time to re-evaluate . . . I love cava de soie...and great that they are Canadian! I am very impressed that you sewed sequins on your shawl...a personal touch that elevates a simple piece to stellar. I agree, you look lovely in the pictures in this post. I think I will have my opportunity to design and use a capsule wardrobe for my upcoming trip to Italy in January. We are one carry on bag people. This has evolved over many years of travel. The weather will surely present a challenge. Duchesse, I'm curious about your favorite Canadian designers. Could you list a few that would have websites? Thanks so much. Enjoy your weekend and looking forward to next week's posts! s.: It works both ways,the restriction clarifies what you think. And no one is watching so you can swap around, it's not a penance. hostess: Did this while watching the entire boxed set of "Carnivale", enraptured by the sets. I am totally engrossed in reading "the clarification of thoughts". Not only does a limited wardrobe free up space (if other things have been removed) but it frees up time. Even if more time has been given to care/laundering of the items, there is less (much less) time that must be devoted to the decision making process. And that is where I think the largest and most significant gain lies. When we stop having to look at so many choices the part of our brains that work out decisions can relax a bit. Get out of spasm/over work mode. And then as that part becomes less stressed, the suppleness makes new ideas available. It is similar to taking a walk because you want to be outside and enjoy the fall colors and when you return you realize you have figured out how to deal with that bothersome whatever. Wearing just a few clothes feels like a meditation to me. 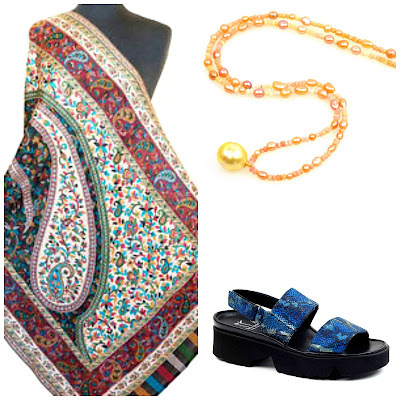 The colors of the jacket, sweater and shawl in the pictures are gorgeous and very flattering on you. I haven't participated in the experiment. It seems that I naturally wear about the same twelve items every season, although the items change with the season. 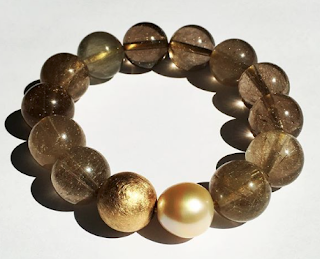 They are in neutral colors, which forces me to use accessories for color, although not always successfully. I do love a good scarf and my DH likes to tease me because when we travel I like to bring back a scarf or two, especially if I can't find what I really want. I'm with you in that I have never found a tailor that I have enough confidence in to make anything from an existing piece of clothing, let alone from scratch. Demipointe: Now that I've experienced the the ease, do not expect to buy anywhere as much. As far as access to ideas goes, yoga does that; the answer would simply floats up after leaving living in my head. materfamilias: I've sewn too, little miniskirts and my husband's flowered Carnaby shirts, and I was good enough to know what it takes to make a dress on the Prada (etc.) level. And have some funny stories I will blog about re using dressmakers over the years, always short of the mark. 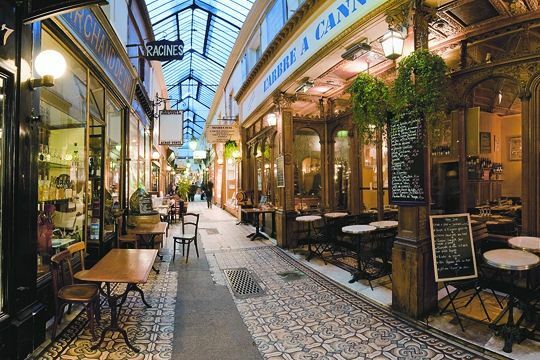 Kathy: Scarves are such perfect travel souvenirs! Yes, the items would change by the season but I am now a devotee of "fewer and finer". While I haven't been part of the experiment, I have been paying more attention to which pieces I wear most often. I just noticed that I haven't been wearing skirts and dresses, not because the weather is colder (though it is), but because I haven't been able to find any heavy opaque tights that are non-control top. I seem to remember buying a bunch last year, so I guess it's time to dig around! Congratulations on surviving this far, and I think one little cheat is perfectly reasonable in the circumstances. I have been watching with interest though I haven't participated. In fact, I have a fairly limited wardrobe anyway; I will have a count up at the weekend and see how many I do actually wear on a regular basis. I suspect it is less than I think. Note: I didn't buy it from the lafayette148 site, but rather from Neiman Marcus on sale for $173.00---a bargain compared to the full price. I agree with many of the posters here that hiring a dressmaker to make a dress would probably end up with a disappointment. I do love wearing dresses, and while it takes a lot of looking in this fashion climate to find one long enough for me (I'm 5'8"), I usually can find one in a line not made expressly for young women. I haven't tried dark tights yet, but think I should try them with a few of my dresses and skirts. Rubi; I did enjoy wearing it but too it off the moment I returned from the meeting. I find non-control tights in the drug store. 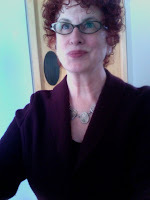 Susan: Interesting,it is as if the waist detail from the dress shown migrated to the neckline. Lovely. Alienne: This edited approach is natural to some women, and you are spared much expense and dithering. I do hope this becomes an annual event, as I would be very interested in participating in the next round. I didn't really participate with the renovation going on in our co-op - too much confusion - but I've been paring down and tending towards a sort of uniform. But it does require a few multiples - I have three identical gore skirts from a Montréal couturier, for example. I LOVE Duchesse's boiled wool jacket. I'm sure I've been to "Clothes" when it was at the Byward Market. Looking for sales there and at ça va de soi(e)! I've taken three big bags to a charity shop recently, as I have a public transport pass this month so I can carry more than on my bicycle. Our society is badly organised for getting rid of stuff we don't use. lagatta: Some charities here will pick up; some even call to solicit donations. The idea of having multiples is good but in my case, too many multiples! Terri: Not sure I would have anything new to say by repeating in a year, but do try on your own if interested. LPC: As a woman usually sized out (14-16) of many designers I admire, compensation is a regular default. LPC: Or I should say, of the European designers, but even some North American. A suggestion for using a dressmaker: take a dress you like/love to him/her and have a copy made. This way you can know in advance that the style is flattering (heck, you can even buy something high end and return it afterward) and you can see if the dressmaker's skills are up to snuff. I've tried your suggestion, which seemed to make sense. Few dressmakers will say" Oh, I can"t do that." So they give it their best, and while I got a facsimile, the indefinable deftness was missing. And I was out many hundreds of dollars. Inspecting their work is another way, but still not foolproof. For me, the best results have been with true designers, who have models I can try on and then order longer, different sleeve length, etc.